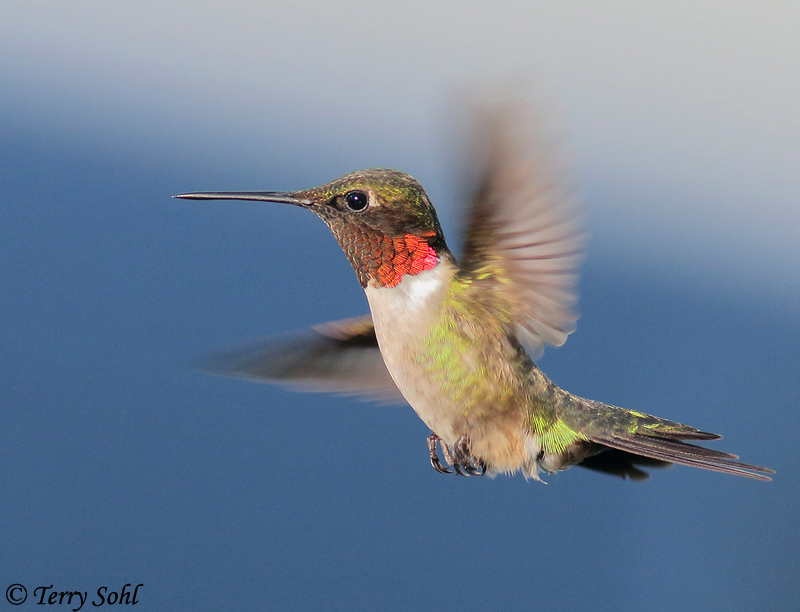 A male Ruby-throated Hummingbird hovering in front of flowers in our yard. It’s now been a couple of days since I’ve seen a male in our yard. They’re always the first to leave for the summer. I still have a couple of females and juveniles, but their time with us is short as well. With the constant buzz of activity in our back yard all summer long, it’s easy to take these guys for granted. Now we will wait another 8 months for their return.